We're sorry; this specific copy is no longer available. Here are our closest matches for Some familiar letters between Mr. Locke, and several of his friends by LOCKE, JOHN. 2. 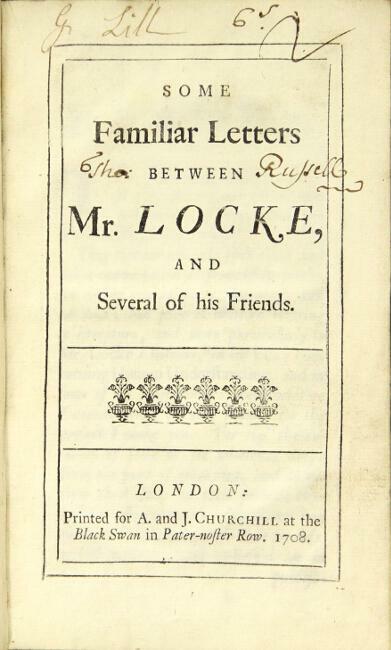 Some Familiar Letters Between Mr. Locke, and Several of His Friends. the Third Edition. 4. 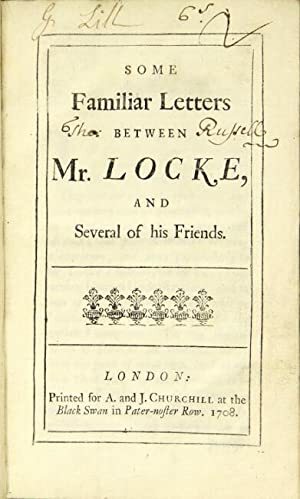 Some Familiar Letters Between Mr. Locke, and Several of His Friends.